Each Battlefield 1 Battlepack contains one stand-out weapon skin. Some packs may also include an additional Melee puzzle piece or an XP boost. You will get a skin of any rarity in a Battlepack, minimum Special. 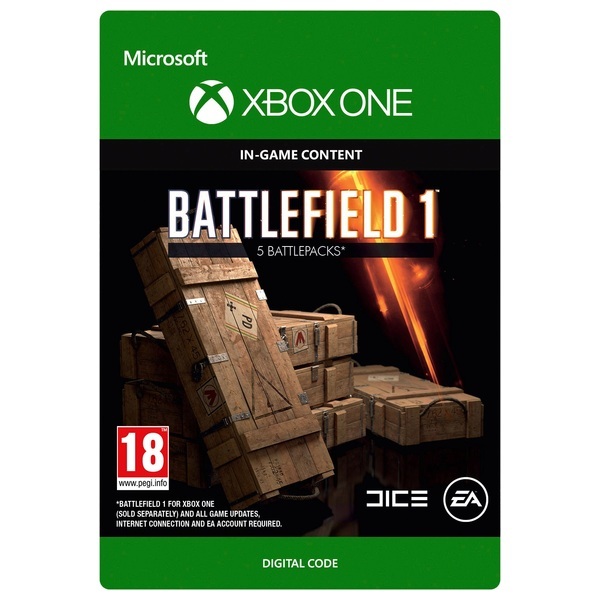 This is a bundle of 5 Battlefield 1 Battlepacks.